Next > Free Verse: I Have Rebuilt A Mind. Hey! Thanks for stopping by and leaving a comment! Made my day! LOVE this Sylvia Plath poem! So evocative and forlorn… Looking forward to reading more! Strangely enough I have never read any Plath…how did that happen??? I love this poem from one reading though! Normally I have to really study a poem and fully understand it before I can really appreciate it but this one only took one reading! Thanks for sharing! You’re welcome Hannah! 🙂 Plath’s a great poet, so I highly recommend that you try her out. Along with Dorothy Parker and Anne Sexton. Glad you enjoyed the poem! I shall have to investigate! Big admirer of the pre-Rahpaelites including Millay’s ‘Ophelia’. Allow me to remind the readers the reason why whole lines are repeated in villanelles written in English is that the language is considered “rhyme poor” as opposed to say a language like Italian. My own personal favorite villanelle is Dylan Thomas’ “Do Not Go Gently into that Good Night”. Ophelia is a personal favorite from Millais. 🙂 As for “Do Not Go Gentle into that Good Night”, I think it’s a masterpiece too. Definitely powerful. Thank you for the info on villanelles and best regards too! 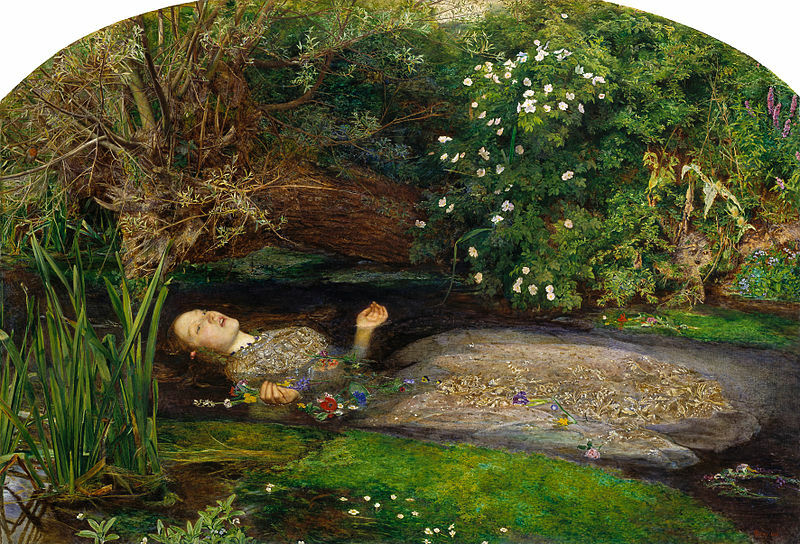 Would love to have my own reproduction of Ophelia… that and a couple of Rene Magrittes. 🙂 And yes, thought Ophelia would be perfect with Plath’s MGLS. I am another huge Plath fan – and this is great!